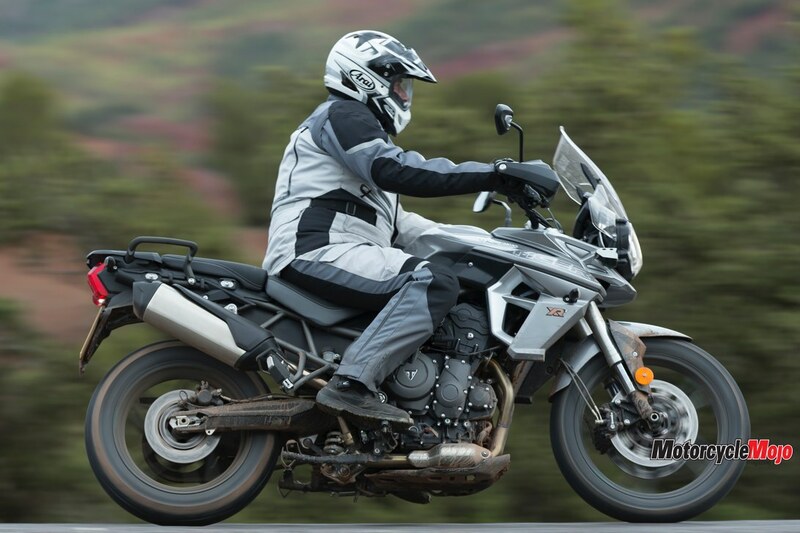 By now you’ve noticed that adventure bikes are getting increasingly popular. 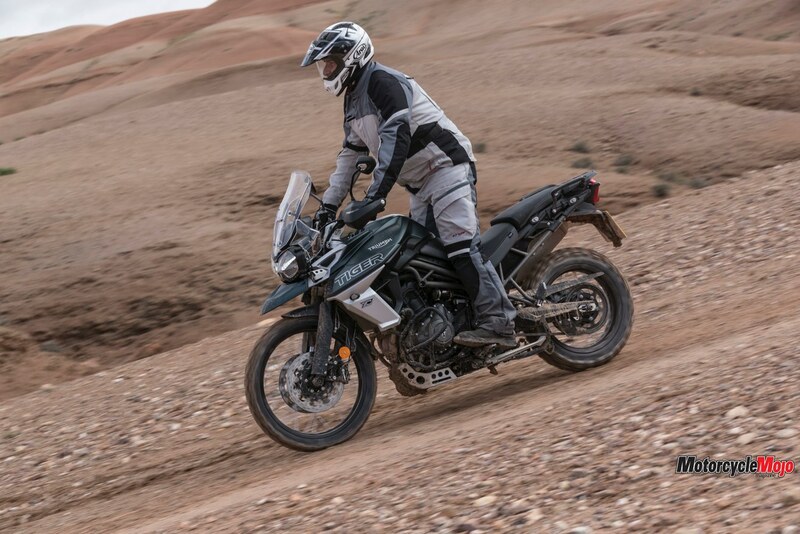 They attract new riders wooed by the thrill of exploring new, often-unpaved roads, and by experienced riders stepping off sport bikes and onto more comfortable, more capable machines. BMW pretty much invented the genre in the early 1980s with the R80 G/S; however, many other bike makers followed suit, producing their own variations of these do-all machines. You can find them with engines displacing from 300 cc to almost 1,300 cc, and utilizing engine configurations from singles to inline-fours. 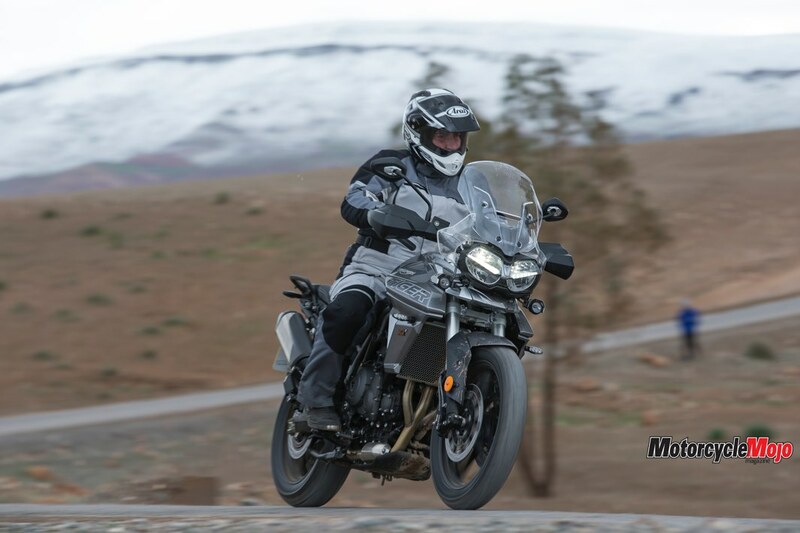 The Triumph Tiger 800 falls just about in the middle of the category. 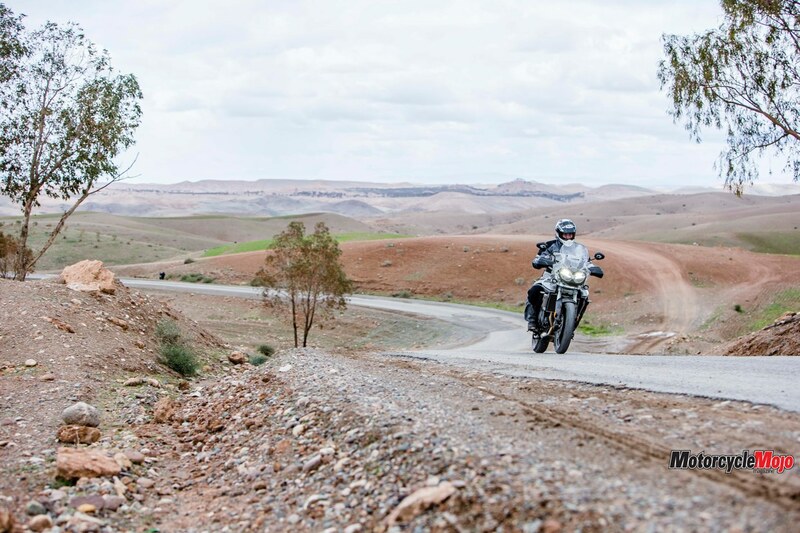 Triumph first introduced the Tiger name in the mid-1930s for a series of bikes competing in the International Six Day Trials. 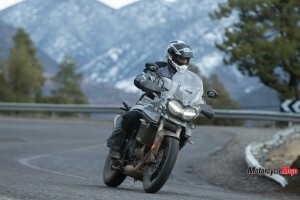 The modern Tiger that is powered by an inline-triple was introduced in 1993. 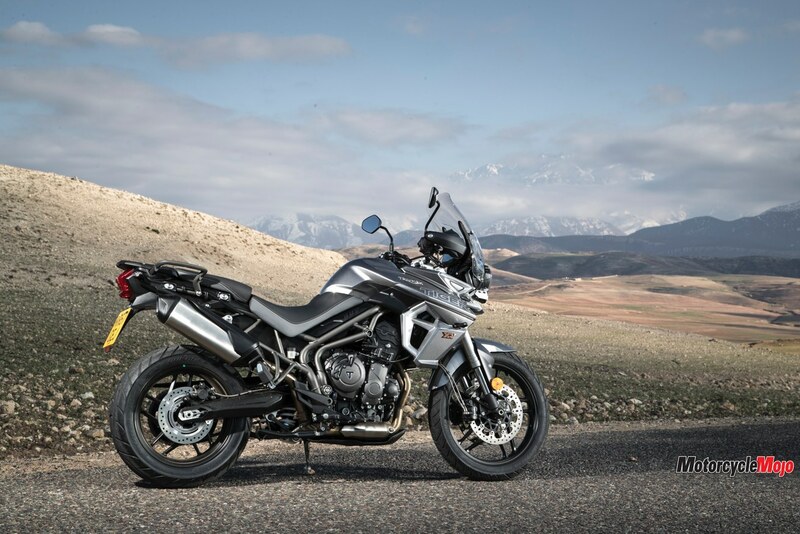 The current-generation Tiger, which is powered by an 800 cc liquid-cooled triple, was introduced in 2010, then refreshed in 2014; for 2018, it gets what Triumph calls a “major evolution,” with changes to the engine, chassis and suspension, as well as a big influx of new technology. 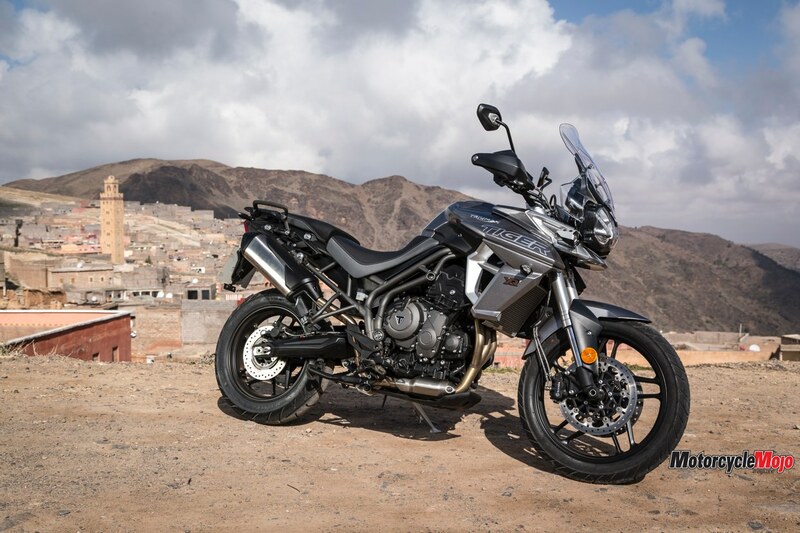 We were invited to Marrakesh, Morocco, to ride the rebooted Tiger 800 line, which includes the road-oriented XR, starting at $13,500, and the off-road-ready XC, which starts at $16,750. 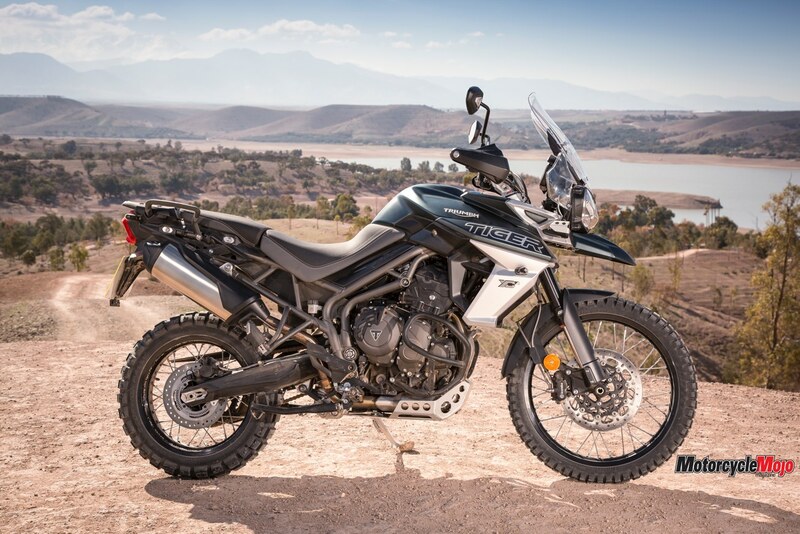 Visually, the biggest difference between the XR and the XC is the choice of wheels: the former rolls on cast-aluminum wheels, with a 19-incher at the front; while, due to its penchant for off-road exploration, the XC rolls on aluminum-rimmed spoke wheels, with a 21-incher up front. 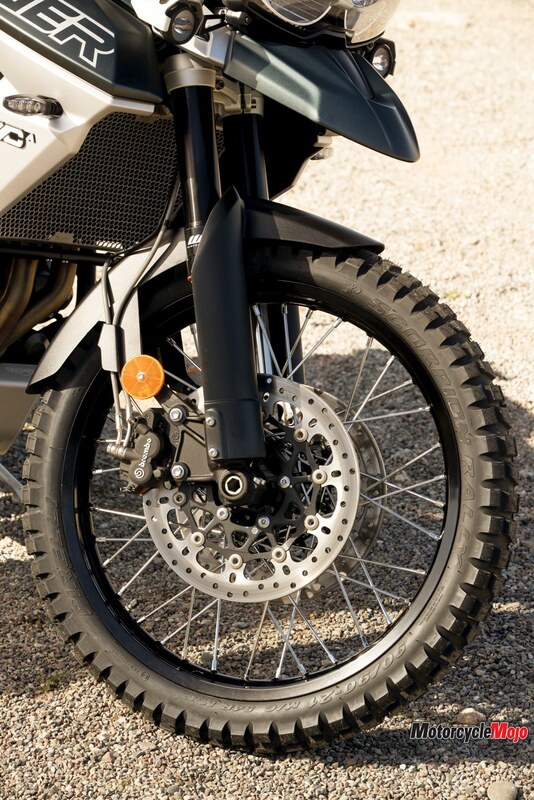 Both bikes use 17-inch rear wheels. 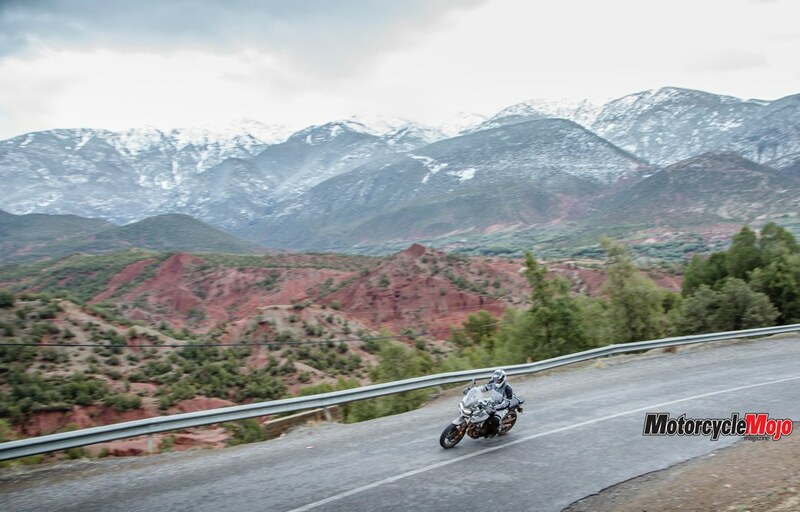 Suspension components differ on the machines, with Showa providing the suspension on the XR, and higher-spec WP units for the XC. 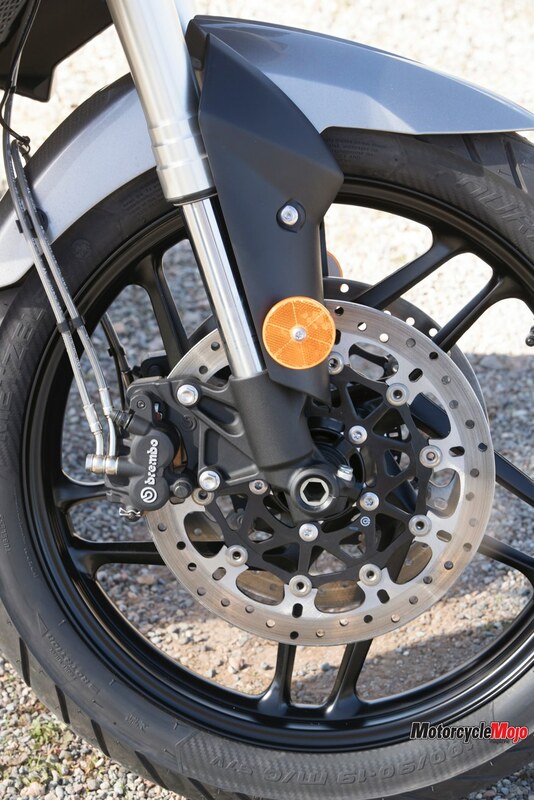 Forks are inverted 43 mm units across the board, which are non-adjustable on the low- to mid-level trim XRs, and adjustable for compression and rebound damping on the top-level XRT. 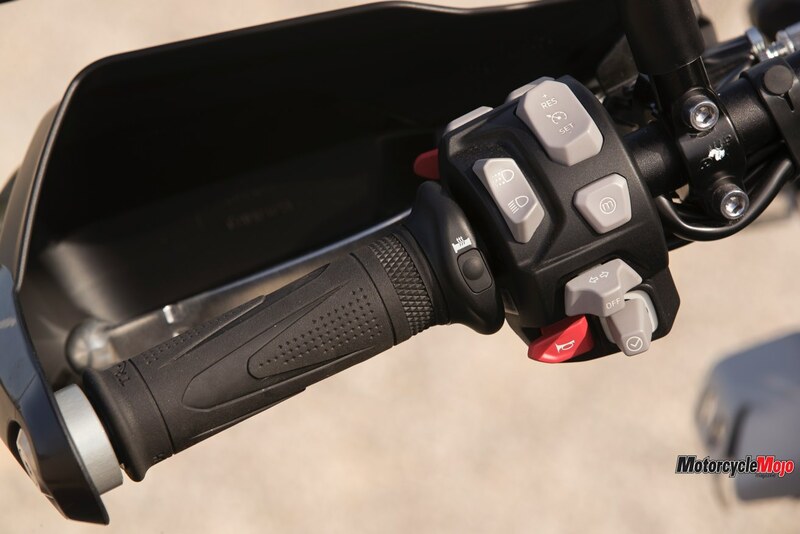 The single shock is adjustable only for preload, via a remote knob. 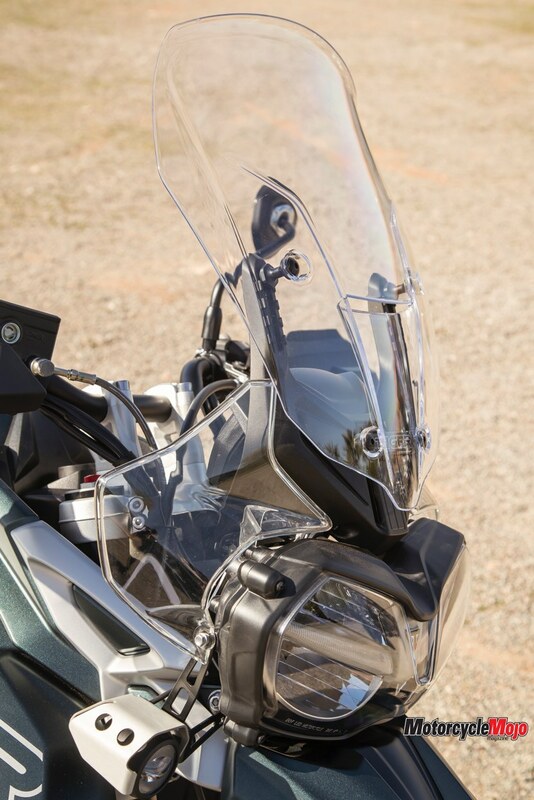 The XC features adjustable compression and rebound damping up front, and rebound damping and preload in the rear. To better cope with jumps, ruts and rocks, the XC has 220 and 215 mm of wheel travel front and rear, which are respectively 40 and 45 mm more than the XR’s. This also bumps the two-position adjustable seat height to 840-860 mm on the XC from the XR’s 810-830 mm. 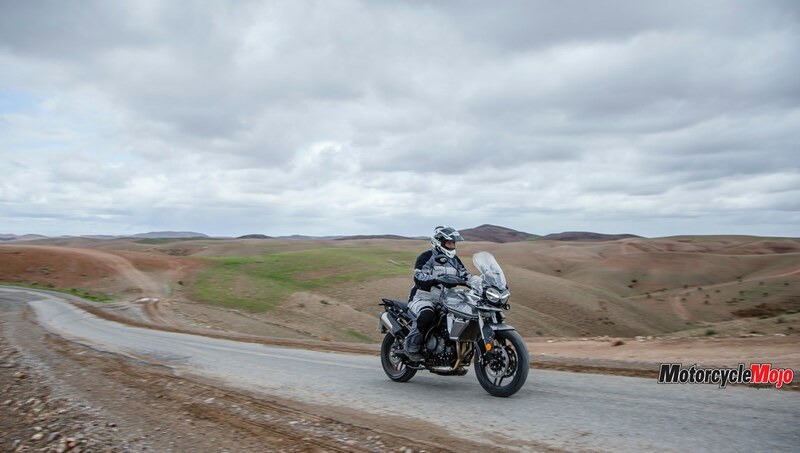 There are several spec levels to choose from in both Tiger variations, each one with an increasing level of electronics and standard features – Canadian riders will be pleased that heated grips are standard on most models, as are five-volt USB ports and 12-volt power sockets for heated clothing, which I had fortunately brought, since the forecast called for very un-Morocco-like sub-freezing temperatures and the possibility of some snow. 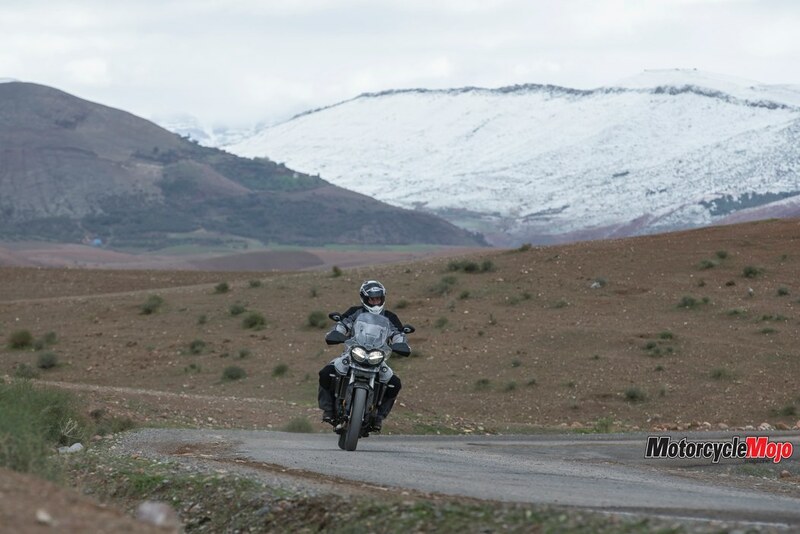 Traction control and ABS are also standard. There’s even the XRX LRH (that’s a lot of letters), which is a lowered version (“LRH” standing for Low Ride Height) of the XR, featuring a seat height of 760-780 mm. 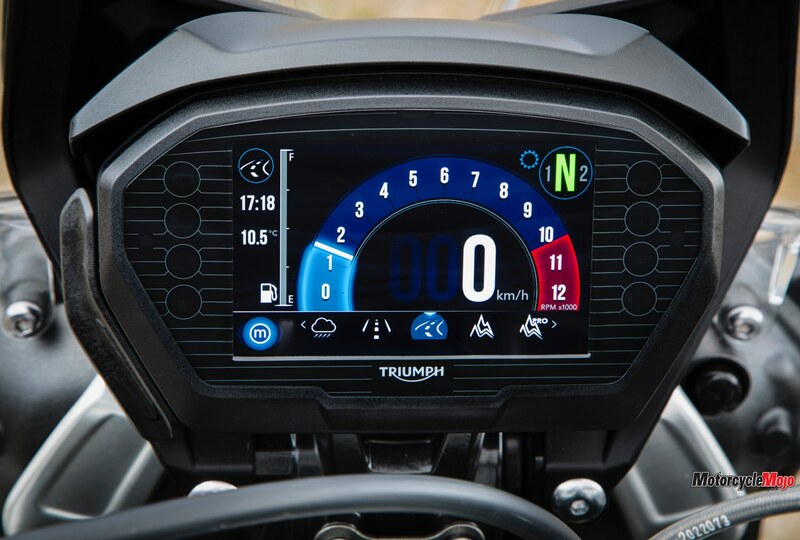 We began the two-day launch on the road, aboard a Tiger XRT, which comes standard with a five-inch, configurable TFT colour screen, five ride modes, cruise control and a heated seat. 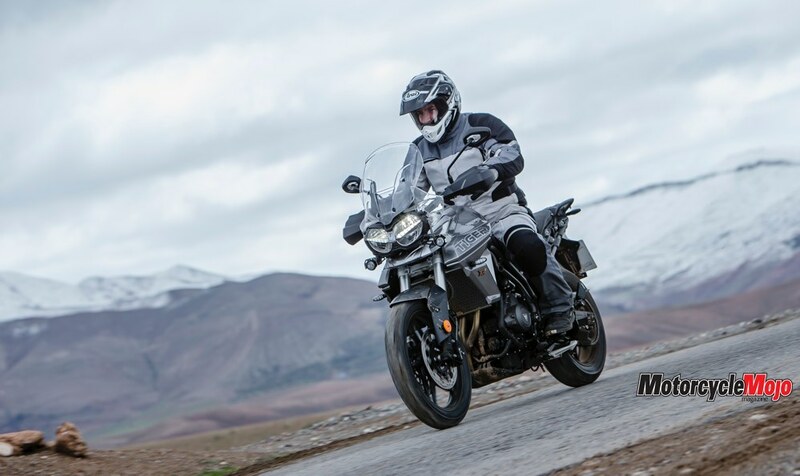 The Tiger’s 94-horsepower engine has been retuned to produce a very broad spread of torque. 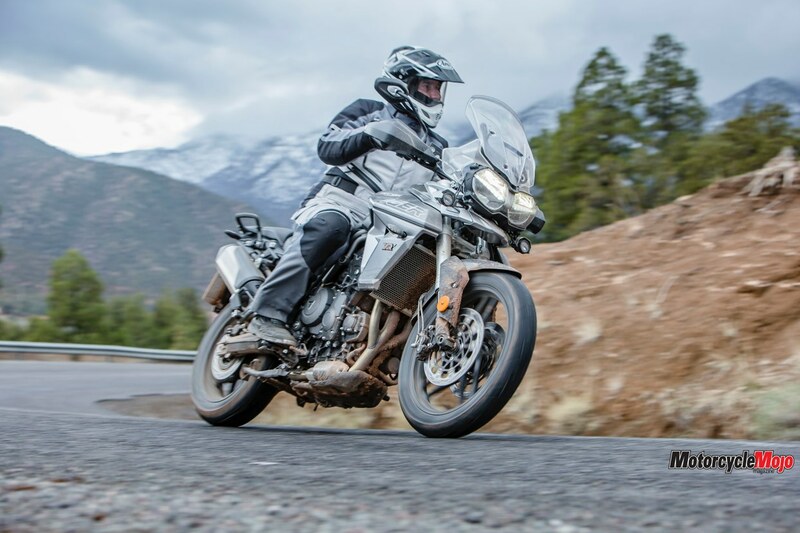 Although the engine hits its peak torque of 58 ft-lb at just a touch above 8,000 rpm, the torque never dips below 50 ft-lb at anything above 2,500 rpm. 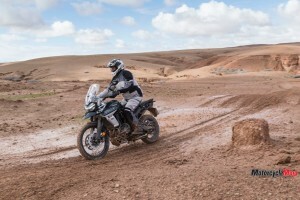 The biggest change within the engine is in the gearbox, which now has a lower-ratio first gear that improves low-speed rideability, especially beneficial on the XC when used to negotiate tighter off-road sections or climbing steep hills. 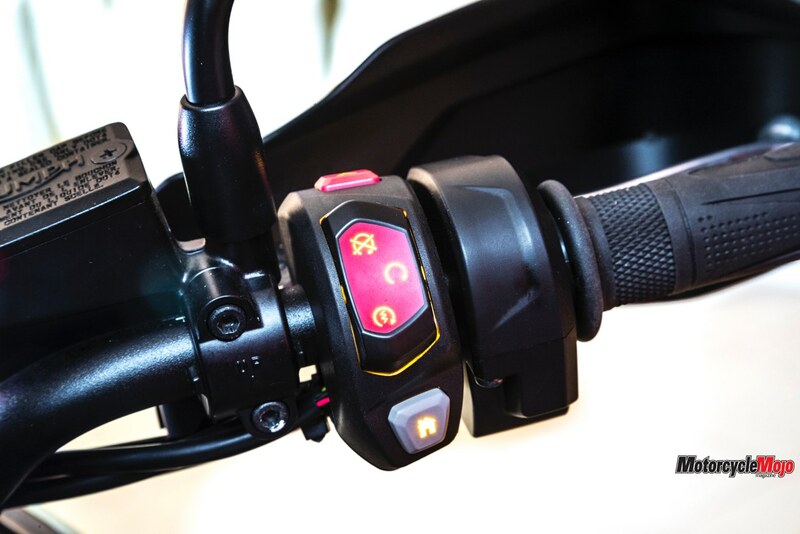 The XRT’s five ride modes are Rain, Road, Sport, Off Road and Rider. 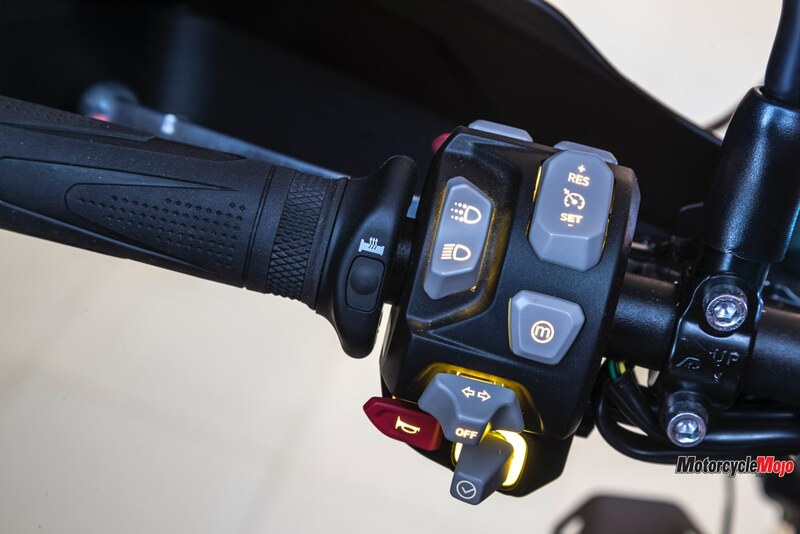 Each one has preset parameters for throttle mapping, traction control and ABS settings, except Rider mode, which is configurable. The engine is smooth, and throttle response is excellent regardless of which ride mode is selected. 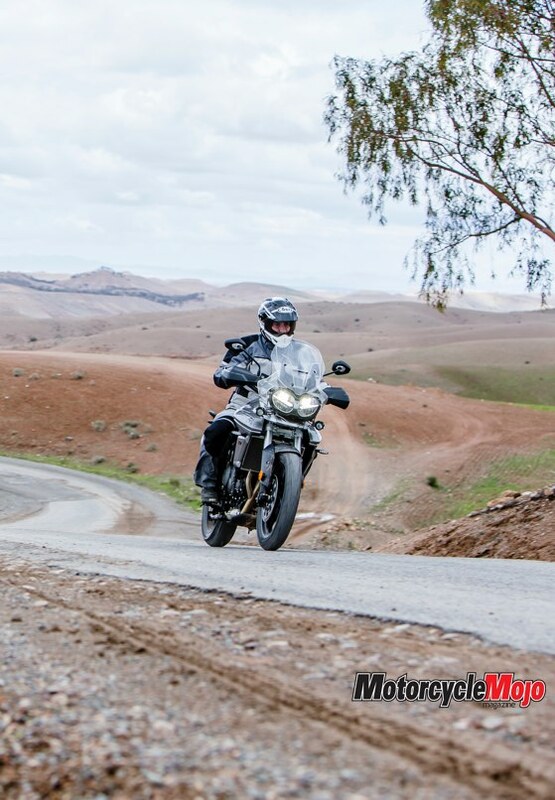 The engine pulls in a linear manner up the rev range, with its wide powerband, giving it deceivingly smooth acceleration that actually translates into a lot of speed if you let the tachometer needle creep toward the indicated 10,500 rpm redline.